It’s no secret here at Happily Ever Mom, that we rely on some amazing parenting books to help raise happy kids. I think books are an amazing parenting tool. In fact, I’ve praised, Playful Parenting, by Lawrence Cohen in the past as the first book that got me thinking differently about parenting. But, recently, I was asked to read a book called, The Danish Way of Parenting, by Jessica Alexander and Iben Dissing Sandahl and I’m so glad that they reached out! 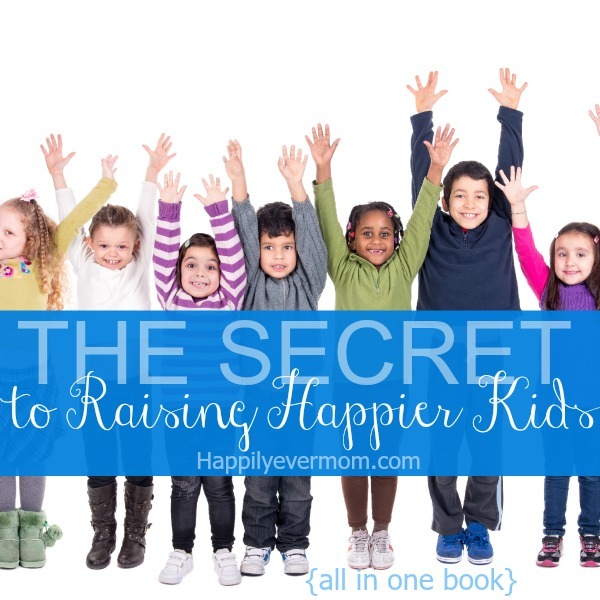 I love that the entire book revolves around one goal: raising happier kids. In full disclosure, I received a free copy of this book, but all of the opinions are my own and I loved it – I wouldn’t write about it otherwise! You know those books that come into your life just at the right moment? Well, this book did that for me. My four year old and toddler have both been testing some boundaries lately and it left me questioning myself. As self doubt started to creep in, I curled up with The Danish Way. While I stayed up an hour later than I should have reading, it reminded me of what matters most as a parent. Because one of the main themes in The Danish Way of Parenting is to keep it simple. What is their secret? Why are the so happy? And, how are they raising such happy kids? That’s what this book wanted to answer. And, I think what the author’s discoveries about Danish parenting is something that all of us can start applying to our own lives regardless of where we live. Each Chapter is full of amazing tips that you can start applying to your own parenting right away. I love that these chapters get you thinking about how much we need to reflect on ourselves to influence our children. But, the secret is in the Hygge. The discussion about Hygge is what truly stood out to me as not only something everyone needs to read about, but also what makes this book special. In very loose terms, Hygge is about togetherness, team work, comfort, and the tradition that makes Danes so happy. Hygge is about creating family closeness and comfort while finding that comfort in family and friends as well. It’s not only something that can be felt, but also a way of being together. Basically, it’s the secret sauce to The Danish Way of Parenting, and it’s worth the price of the entire book. The Danish Way is about forming connections instead of corrections. It’s about treasuring time with your kids. Finding empathy instead of anger. Avoiding punishments while still raising cooperative kids. And, turning within to raise happier kids. All within the confides of one little book – I really can’t say enough about it! We’re giving away 4 copies of the book to 4 amazing fans! Just enter below for your chance to win a free copy!! Oh, and I’m convincing my husband to move to Denmark. Who’s with me? Would love to read this book and understand new thoughts on raising happy kids. Would love to read this. I’ll get behind anything that can help the rhythm of the family more happy! It’s such a great read, Karen ~ I think you and Bryan both would love it! After a long weekend with little rest, I’d love to know how to raise happy kids and the power of Hygge. This book sounds great! Thanks for the review. I would love to read this. We’re leading a discussion group this summer on positive parenting my and sounds like this would fit right in.